Click here for the Kindle Daily Deal – The Life-Changing Magic of Tidying Up – Despite constant efforts to declutter your home, do papers still accumulate like snowdrifts and clothes pile up like a tangled mess of noodles? Japanese cleaning consultant Marie Kondo takes tidying to a whole new level, promising that if you properly simplify and organize your home once, you’ll never have to do it again. Audible Members Daily Deal – An Easy Death by Charlaine Harris for $3.95 – Charlaine Harris (Sookie Stackhouse mysteries) delivers the first thriller in a new trilogy that presents a chilling alternate history of the US where everyone believes in magic – but no one is sure whether they can trust it. 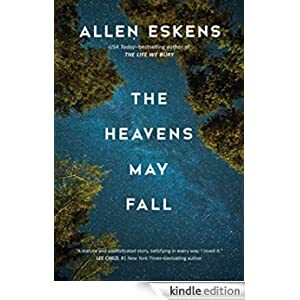 Audiobook Daily Deal is available to Audible.com members only. The eyes of the world are on Jerusalem as Jon Bennett–a Wall Street strategist turned senior White House advisor–his beautiful CIA partner Erin McCoy and the U.S. Secretary of State arrive in the Middle East to meet with Palestinian leader Yasser Arafat. On the table: a dramatic and potentially historic Arab-Israeli peace plan, of which Bennett is the chief architect. At the heart of the proposed treaty is the discovery of black gold deep underneath the Mediterranean. The American message is as daring as it is direct: Both sides must put behind them centuries of bitter, violent hostilities to sign a peace treaty. Both sides must truly cooperate on drilling, pumping, refining, and shipping the newly found petroleum. Then–and only then–the United States will help underwrite the billions of dollars of venture capital needed to turn the dream into reality. 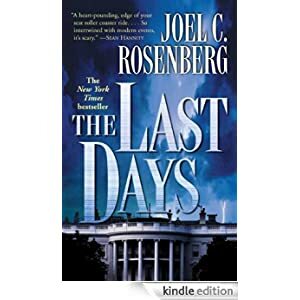 Buy this political thriller for only $1.99 today. 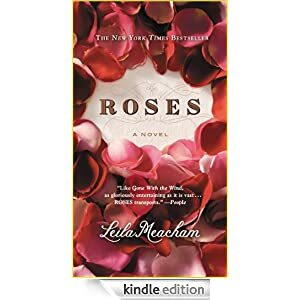 Spanning the 20th century, the story of Roses takes place in a small East Texas town against the backdrop of the powerful timber and cotton industries, industries controlled by the scions of the town’s founding families. Cotton tycoon Mary Toliver and timber magnate Percy Warwick should have married but unwisely did not, and now must deal with the deceit, secrets, and tragedies of their choice and the loss of what might have been–not just for themselves but for their children, and children’s children. Buy this family saga foronly $1.99 today. Meet the characters that live, work, dream, and love in the community of Deepwater Cove. Steve and Brenda face a common problem among middle-age couples: empty nest syndrome. In order to save their marriage, the two must learn to reconnect. 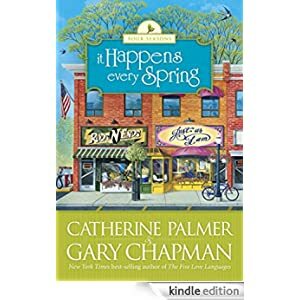 Readers are also introduced to many charming characters, like Cody, the mentally challenged homeless man that shows up on Steve and Brenda’s porch; Pete, who owns the Rods ’N’ Ends tackle shop; and Patsy Pringle, who owns the Just As I Am beauty parlor, where much of the action takes place. Buy this inspirational novel for only 99 cents today. Neil Fisher’s first trip to Dunbridge was not a success. Having inadvertently locked himself in St Stephen’s Church for hours (and succumbing to the communion wine and wafers for dinner) it seemed miraculous they gave him the curate’s job! On arrival in the small town of Dunbridge it quickly becomes clear that life is not going to be tranquil for the eligible new bachelor, as four formidable women are determined to make their presence felt. 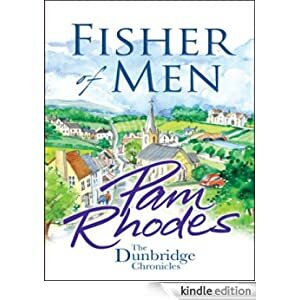 There is his mother, Iris, still questioning his choice of career; his rector, the no-nonsense Margaret, who is not one for taking prisoners; Claire, his new neighbour, whom he’s already managed to offend. And then there is Wendy, the beautiful leading light of the church music group, who has her own plans for Neil… It can only end in trouble. Buy the first book in this contemporary inspirational series for only $1.99 today. NOTE: I have read all three books in the series and loved them! Great characters, real-life issues and insight into the ministers who serve. 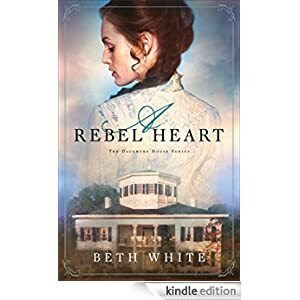 Five years after the final shot was fired in the War Between the States, Selah Daughtry can barely manage to keep herself, her two younger sisters, and their spinster cousin fed and clothed. With their family’s Mississippi plantation swamped by debt and the Big House falling down around them, the only option seems to be giving up their ancestral land. Pinkerton agent and former Union cavalryman Levi Riggins is investigating a series of robberies and sabotage linked to the impoverished Daughtry plantation. Posing as a hotel management agent for the railroad, he tells Selah he’ll help her save her home, but only if it is converted into a hotel. With Selah otherwise engaged with renovations, Levi moves onto the property to “supervise” while he actually attends to his real assignment right under her nose. Selah isn’t sure she entirely trusts the handsome Yankee, but she’d do almost anything to save her home. Buy this historical inspirational romance for only $1.59 today. Jesus Christ died not so that you would recognize a historical fact. Or memorize a particular doctrine. Or continue with life as is. No, Christ’s death was God’ s decisive deed in your life, conquering sin once and for all. The cross beckons you every day, with power to transform every detail of your existence as you begin to see Calvary from God’s perspective. Will you yield to God’s provision in His cross? Will you receive the power and presence of Jesus Christ? 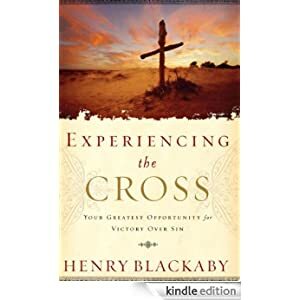 Will you dare to experience the cross? Buy this book today for only $1.99. Weary travelers. You’ve seen them — everything they own crammed into their luggage. Staggering through terminals and hotel lobbies with overstuffed suitcases, trunks, duffels, and backpacks. Backs ache. Feet burn. Eyelids droop. We’ve all seen people like that. At times, we are people like that — if not with our physical luggage, then at least with our spiritual load. We all lug loads we were never intended to carry. Fear. Worry. Discontent. No wonder we get so weary. Wouldn’t it be nice to lose some of those bags? 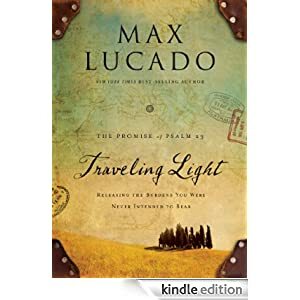 That’s the invitation of Max Lucado. With the Twenty-third Psalm as our guide, let’s release some of the burdens we were never intended to bear. Buy this study in Scripture for $1.99 today. As the case unfolds, the two are forced to confront their own personal demons. Max is still struggling with the death of his wife four years earlier, and the Pruitt case stirs up old memories. Boady hasn’t taken on a defense case since the death of an innocent client, a man Boady believes he could have saved but didn’t. Now he is back in court, with student Lila Nash at his side, and he’s determined to redeem himself for having failed in the past. Vividly told from two opposing perspectives, the truth about the stunning death of Jennavieve Pruitt remains a mystery until the very end. Buy this legal thriller for $1.99 today. High atop a snow-covered hill, the stately old Wyatt mansion is perched like a crown, its stone spires pointing upward, its stained glass windows glowing like colorful jewels. Such opulence means success and, surely, happiness. But on the eve of wealthy philanthropist Cecil Wyatt’s eightieth birthday, all the money in the world won’t bring back his missing grandson, William Wyatt. The only thing for certain: Foul play was involved. The family, the police, the media–all have tried in vain to discover the young man’s fate. Now suspicion has turned shockingly toward William’s own half-brother, the rather distant and enigmatic Mitchell Wyatt. Kate Donovan never dreamed that a chance romantic encounter on a tropical island paradise would tag her as a suspect in a high-society murder case. But after Kate tangles with the darkly charismatic Mitchell Wyatt, she finds herself cast in a shadow of guilt and mistrust. Buy this romantic suspense novel for just $1.99 today.